The great thing about living a thrifty lifestyle or hunting out the bargains is that you have more money left over to use how you want – it might be to pay off your debts faster, or to enjoy more holidays. I get a thrill from finding a bargain. 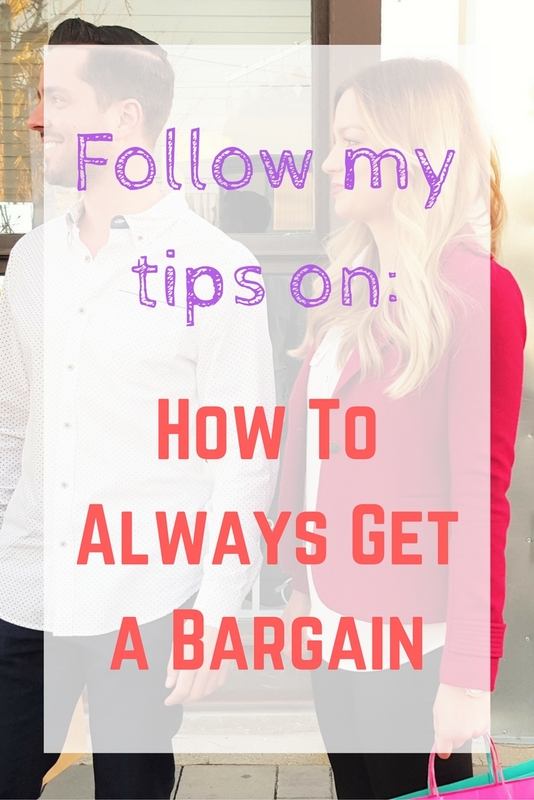 Here are my tips for always getting a bargain. Cashback is a great way to ensure that you are getting something back from your usual spending. Simply register for an account at a cashback website and visit the cashback website before you make your online purchase. You will then receive a percentage of the sale back. If you aren't shopping online then you can also register your card details and get in store cashback too. Retailers use voucher codes to reward their loyal customers or to entice new customers in, so it is worth visiting My Favourite Voucher Codes before you make a purchase to see if there is a voucher or code available to apply to your purchase. I don't make any online purchase without searching for a voucher code beforehand. We all know that we should haggle when it comes to making big purchases like a car (where you are sure to be offered free car mats! ), but when it comes to haggling for other purchases we aren't as brave. If you aren't quite ready to haggle in Tesco over your salmon, you can try haggling at car boot sales and markets. Buying second hand items can usually save you a lot of money on the retail price. Exercise equipment is a great example of this – bought in January with the best intentions, until the owner realises that it is a glorified clothes horse. Considering second hand items from eBay, Gumtree or car boot sales is a great way to find a bargain. Car boot sales themselves are full of some tat, but you can also find some great deals! In the past I have found Yankee candles, retro cameras, Soap and Glory and so much more! I am itching for this year's car boot sale season to start, and not just because of the fresh donuts on sale! One thing about bargainistas is that we love sharing our bargains with others! There are loads of social media accounts dedicated to bringing you the best bargains, including coupons, freebies and sales. My list of thrifty Instagram accounts I love is a great place to start. 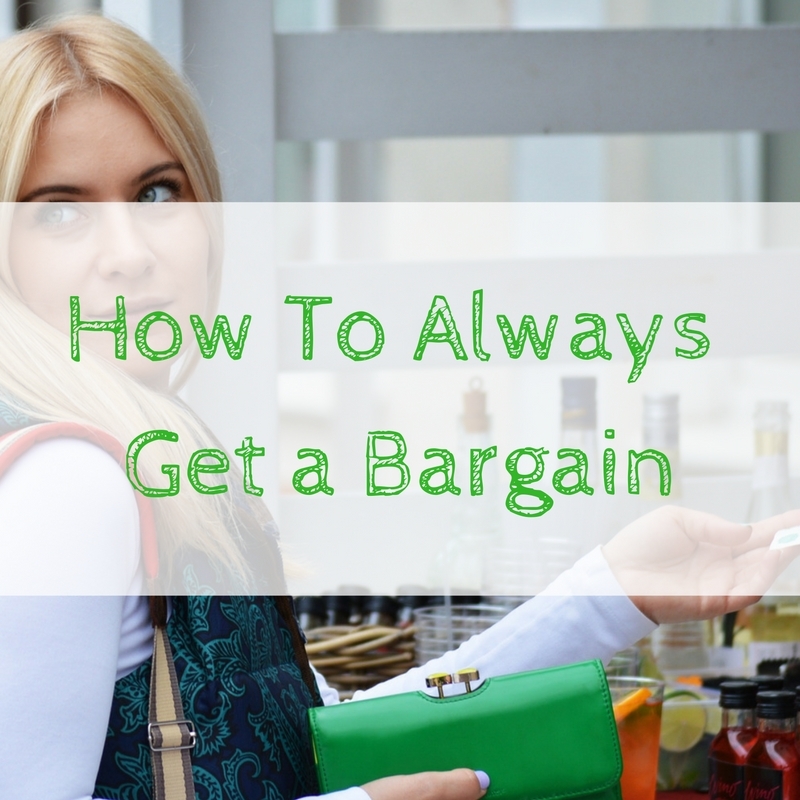 Do you have any great tips for getting a bargain? Car boot sales are all about the early morning sausage rolls! 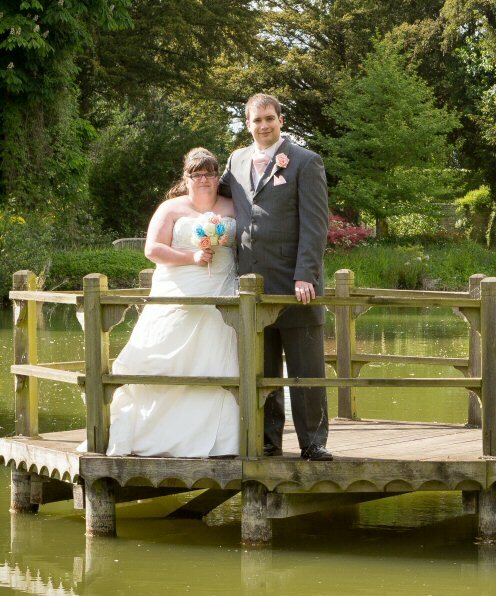 Fingers crossed for sunshine this weekend..
Oh wow, I never thought of using social media to get a deal – so smart! I can’t imagine paying full price on anything but am also really slow to make purchases – I tend to have a hard time making decisions. So if I see something that I think is a good deal or worth it in the long run, I’m sold!